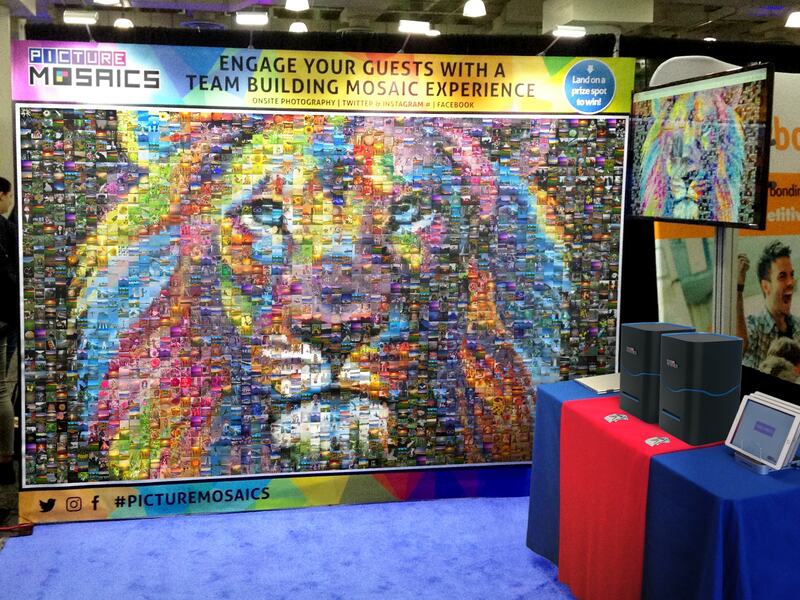 Picture Mosaics supplied the NEXT BIG team building experience for thousands of attendees at the BizBash Expo in New York by engaging guests and allowing them to help create a stunning lion mosaic right in our booth! 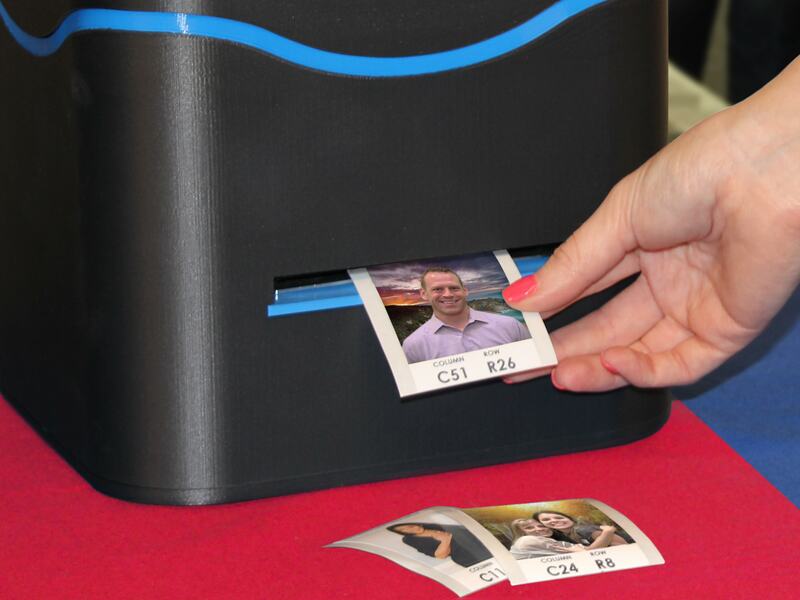 After posing for a quick snapshot, each guest was handed their photo sticker to apply to the correct numbered spot on the mural. 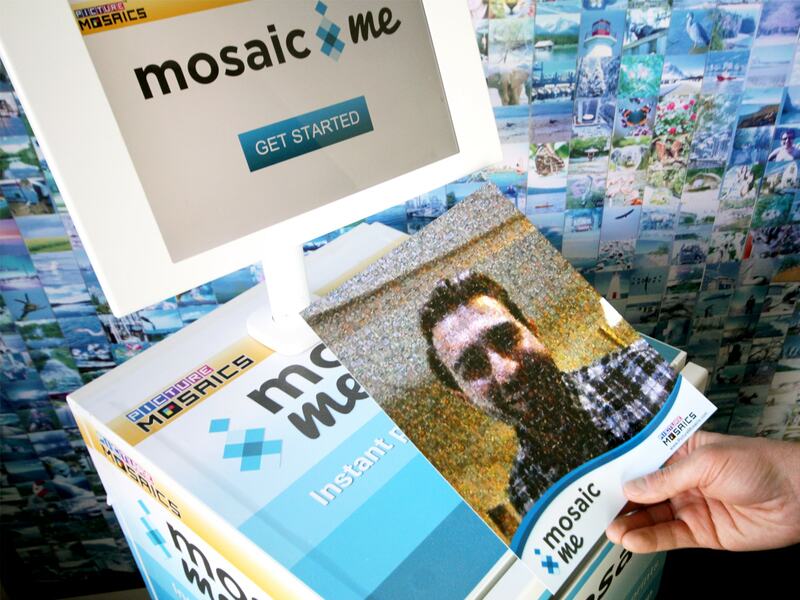 For those waiting their turn to apply their photo, they were able to watch an animated version of the mosaic on screen. 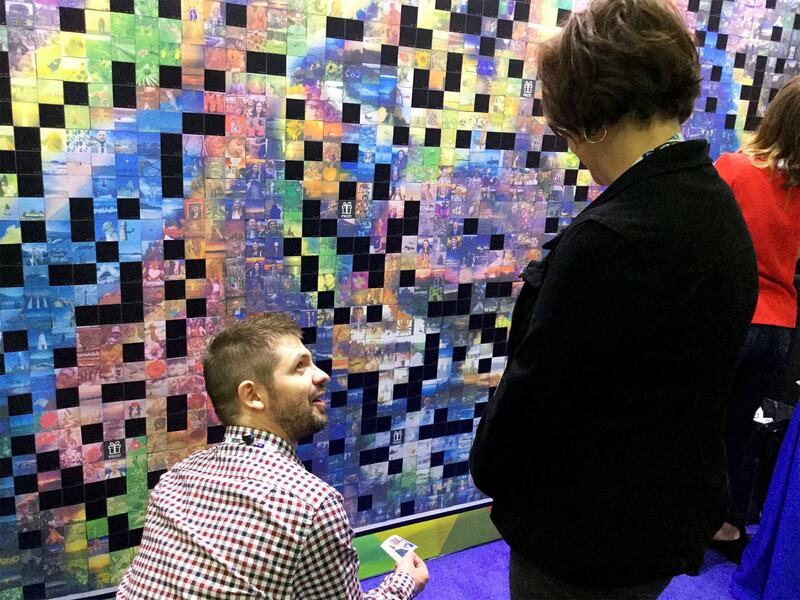 Over 2,000 vivid adhesive photos were used to create this super fun team building mosaic. 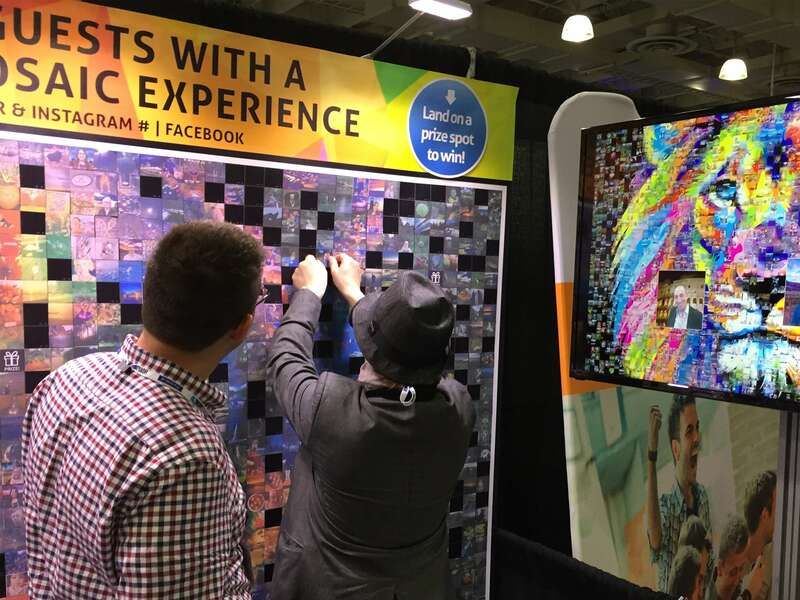 Learn more about photo-by-photo murals and other real-time and interactive photo experiences. 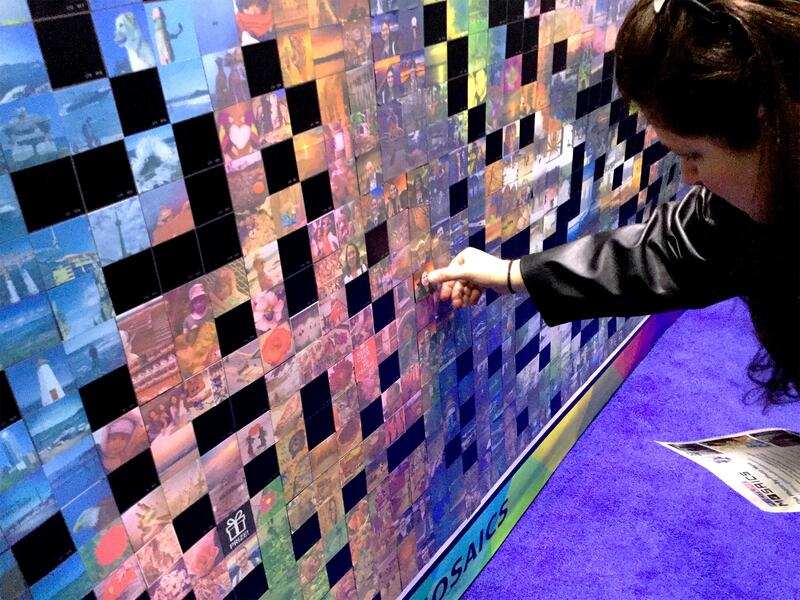 We specialize in a vast array of mosaic-based event solutions, both onsite and online, seamlessly integrated with social networks and onsite photo-capture devices for a truly engaging experience. 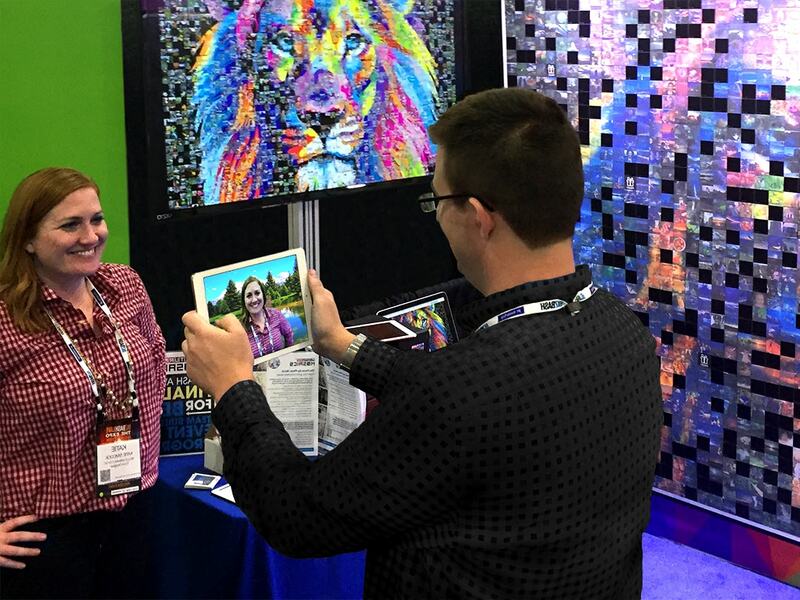 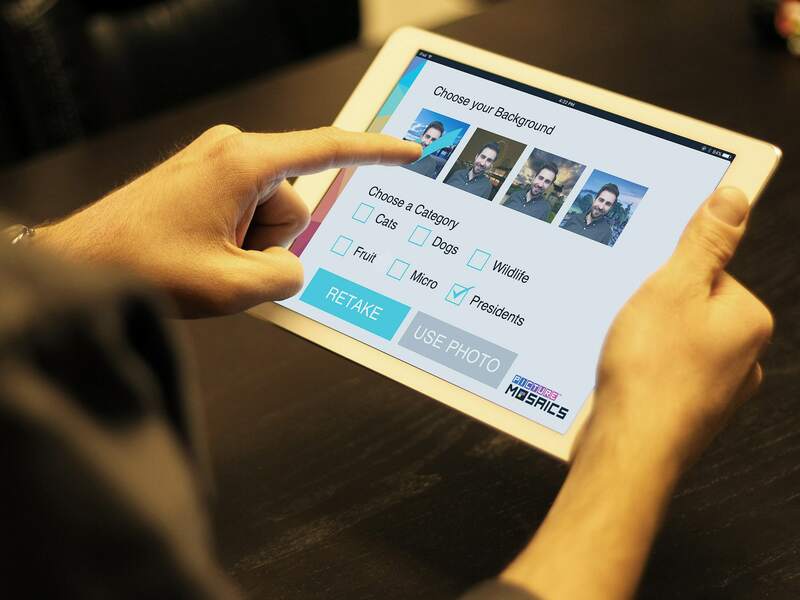 Examples include real-time photo mosaic creation, online & interactive fan-driven activations, guest-built Photo-by-Photo mosaic murals, instant personalized mosaic photo prints, and so much more. 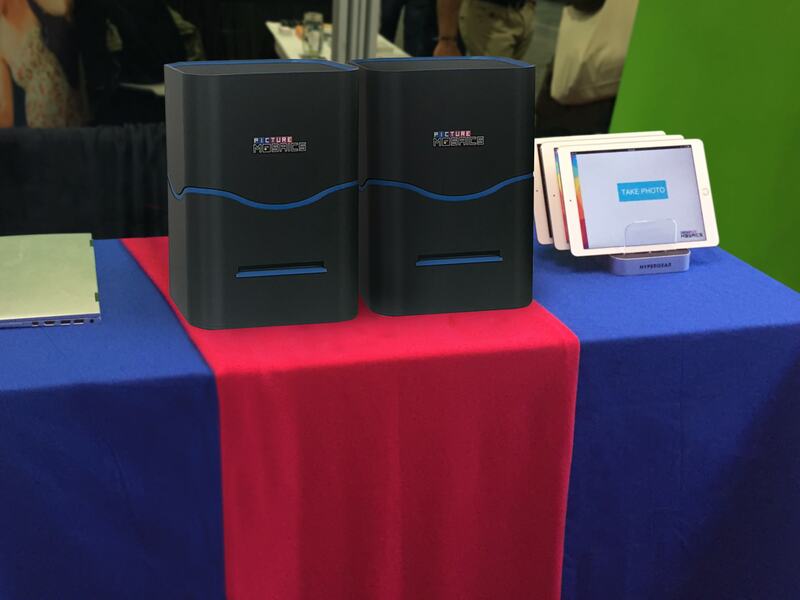 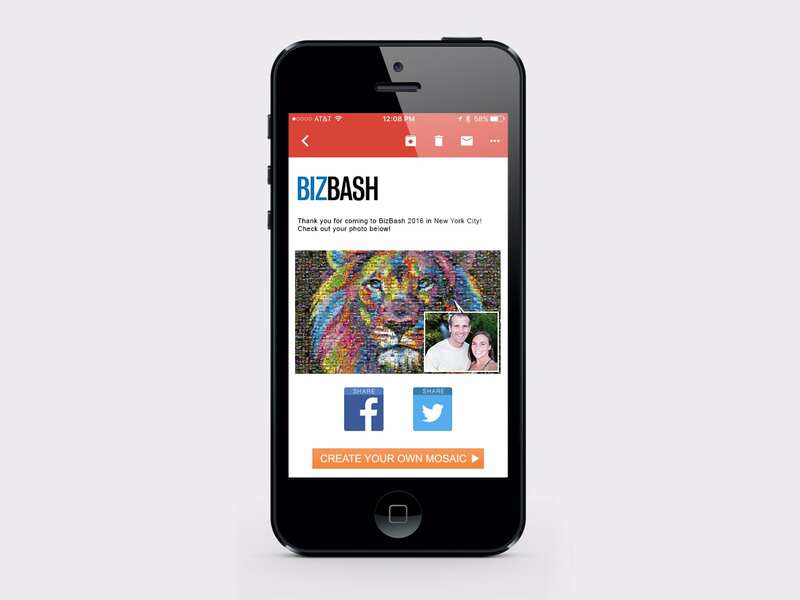 Click here to learn about more engaging event solutions. 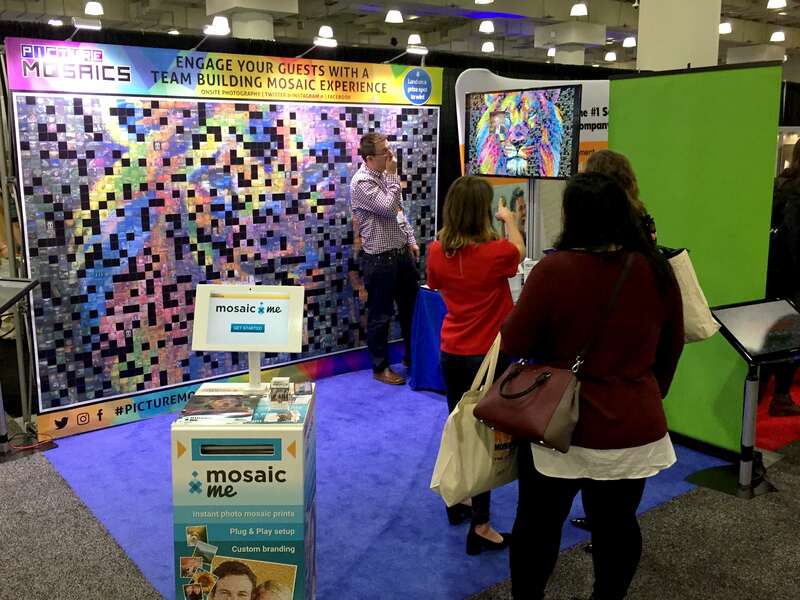 This entry was posted in Events, Mosaics, Photo Mosaics, Real-time Interactive Streaming Mosaics and tagged BizBash, event mosaics, photo mosaic, real-time on November 21, 2016 by Kim Babula.